During the 1960's, at a time when the Chablis vineyards were all but abandoned, Robert Drouhin believed in the potential of this wine region which, a century earlier, had been decimated by the phylloxera disease. Attracted by the unique qualities of this terroir considered an integral part of Greater Burgundy, and as a tribute to the Joseph Drouhin family, native of this area, Robert Drouhin examined maps, spent time visiting the area, had extended conversations with the local people and remembered his tastings with Maurice Drouhin. Very early, he selected the best vineyards in the historical and geological heart of Chablis before the INAO (the government office controlling the appellations in France) would extend the actual limits of the appellation into less typical areas. Forty years later, Philippe, Véronique, Laurent et Frédéric have made of this domaine a pioneer of the appellation and one of its most dynamic achievers, to the point where it is now recognized as one of the benchmark estates in the region. 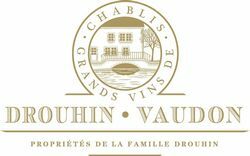 The Domaine Drouhin Vaudon, as it is now constituted in Chablis, is a separate entity operating with a team of ten people working full time under the responsibility of Denis Mery, the vineyard manager.